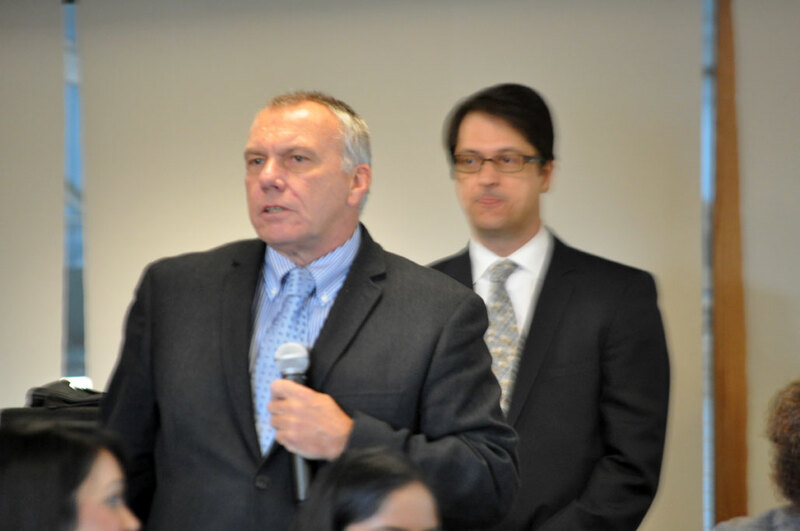 RVHS CEO Rik Ganderton with TSH CEO Robert Biron looking on during Wednesday’s Central East LHIN Board meeting. The two CEOs representing the Scarborough and Rouge Valley hospitals appeared before the Central East LHIN this morning following news last week that their proposed merger was off – at least for now. Both Rik Ganderton and Robert Biron looked nervous knowing at least in this venue the decision to pull back from the brink would be regarded as a disappointment. Had the two merged, they would have formed the seventh largest hospital corporation in the province. The outcome of the meeting was predictable – the LHIN would work with the two hospitals to further an integration agenda and develop next steps. 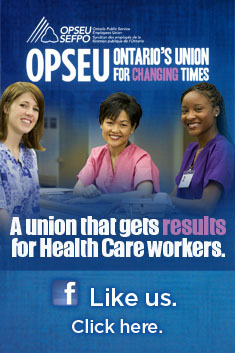 Both CEOs agreed to come back in April after meeting with the LHIN senior staff. It’s one thing not to be acknowledged for the work you do. It’s quite another when your hospital says you don’t do that work at all. Northumberland Hills Hospital (NHH) is saying that it “does not currently provide any specialized diabetes education for outpatients and inpatients.” For the certified diabetes educators at the hospital, this may come as a surprise. The “integration team” is presently pushing forward a plan to bring in nurses and/or dietitians from the Port Hope Community Health Centre (CHC) to provide diabetes education not only to patients in the NHH’s dialysis unit, but to give best practices instruction to staff at the hospital. This is even though two seasoned certified diabetes educators are already on the staff of the Cobourg hospital and a third staff member is being supported towards certification. There’s nothing worse for staff morale than telling somebody they don’t really exist, especially when they do. Newly appointed NHH CEO Linda Davis may want to have a chat with her own certified diabetes educators before involving outside help. She could be surprised to learn that the expertise the hospital is seeking may be right under her nose. The good news is many health care providers in the Central East LHIN (and likely others) will receive substantial increases in funding, some for the first time since 2011/12. The bad news is that this will only last for a little over two months more. Then the funding levels go back to where they were before. Here’s the kicker – all this additional service has to be done without hiring any new staff. That’s because new hires represent a commitment beyond March 31st. That’s a no-no in one-time funding. The government does this every year resulting in a sudden influx of cash to select targeted programs, and then suddenly it all dries up again. The Ministry routinely comes up with pockets of one-time cash given to the LHINs on short notice. For example, December 16th the Ministry made available $8 million in one-time funding to support the Health Action Plan’s “Assess and Restore” policy. That policy aims to focus on preventative programs for seniors. The LHINs each had until December 20 to figure out how to spend that money – just four days. In a perfect world hospitals would be publicly funded to meet the health needs of their communities. That would be it. When the government started talking about funding reform, the thinking was that at last we would be moving closer to a rational system of allocation. What we got instead was a hybrid of global funding, competition, and a funding formula that was supposed to take into consideration both existing usage and local demographics. Layered on top is a base funding freeze to at least 2018. Money has always been a driver in the health system, but suddenly it appears to be driving everything. The evidence suggests that the complex and confusing system of funding allocation is creating new inequities that may be even worse than the ad hoc system of the past. The South Bruce Grey Health Centre, for example, has argued to the South West LHIN that they are being penalized for efficiently combining the resources of four small rural hospitals. The Scarborough Hospital and the Rouge Valley Health System have made it clear that the complex demographic needs of their two communities are not being recognized in their base funding allocation. What the new funding system appears to be doing is driving a new wave of costly and disruptive hospital mergers. You can’t blame the hospitals for seeking such mergers because they are simply acknowledging the new rules of the game set by the province. In this new world bigger gets more clout gets more funding. When the Central East Local Health Integration Network (LHIN) asked the Scarborough and Rouge Valley hospitals to work together to plan hospital services in the eastern most part of Toronto, few would have thought the CEOs would come back talking merger instead. Given the impetus for the talks was The Scarborough Hospital’s difficult financial situation, a merger could be a costly and risky response. Robert Biron, new CEO of The Scarborough Hospital, said no final decision will be made until residents, staff and doctors are first consulted. “Almost all studies suggest that hospital consolidations raise costs of care by at least two per cent and, in the U.S., sometimes significantly more,” states retired consultant Thomas Weil in a 2010 edition of the Journal of Health Services Research and Policy. It may be one of the reasons why we have seen so few of them in the second decade of the century after witnessing so many in the first. With funding already extremely tight, who would want to risk making the situation worse?